IN MY CHILDHOOD LABOR DAY DID NOT MAKE ANY SENSE TO ME. The purpose of the holiday was not clear in my childish brain. I could understand Thanksgiving, Independence Day, Flag Day, Christmas and so on. But what are we celebrating on Labor Day? For most people, including me, Labor Day is the signal that the summer vacation is over and school is about to begin. That is not much to celebrate—unless cold weather and a leafless tree is heart-warming. Not until my high school and college years did I learned about the American Federation of Labor (AF of L) and the Congress of Industrial Organizations (CIO) and found the information interesting and the struggles of labor to organize but the information were not relevant to me. No one in my family was a part of the labor movement. None of the story of labor’s struggles moved me—they were only history. Sometimes I even saw labor unions as problems causing strain on the community when they would strike. I remember the turmoil reported in the news caused by John L. Lewis and the striking coal miners—their strikes affected on my home. My boyhood home was heated by coal. I recall the arguments around the Taft-Hartley Act in the late 1940s and the strikes at steel and auto plants. While I may have been confused by the arguments and touched by some shortages resulting from labor strikes, all of that remained remote from me. Thinking back, I don’t even remember seeing striking workers anywhere until I was past my college years. I never saw a Labor Day parade until about six years ago when I was in Jefferson City, Missouri, touring the state capitol on a Labor Day Weekend. A family down the street from my parent’s home belonged to a longshoreman’s union. We secretly gossiped among ourselves about him. The gossipers hinted that the neighbor was a “Communist”. I recall meeting this neighbor while walking through the city plaza about a day or so after the war in Korea began. We talked about the war and I recall that he was very much against President Truman for committing the U.S. to the defense of South Korea. As we walked and talked together I said to myself, “Aha, my father was right, our neighbor really is a Communist.” Of course he wasn’t. He was a longshoreman with an opinion. My father finally relented and agreed the neighbor was after all a good neighbor and they became lifelong friends. The difference between the two, my father and our neighbor, was that my father never belonged to any labor union. He had been a laborer in his youth. He spent some time working in a Kentucky coal mine, then he worked on a freighter, a banana boat, in the Caribbean Sea, and he was even a merchant seaman for a brief stint. Most of his early adult life was spent in the U.S. Navy, from which he retired. He continued working as a civil servant on a variety of rocket programs for the Navy and the Army. Thus, his knowledge of the working person’s unions was also negligible. Therefore, I have made it my goal to know something of the Labor Movement in this country. American who led the American Federation of Labor from 1886 to 1924. 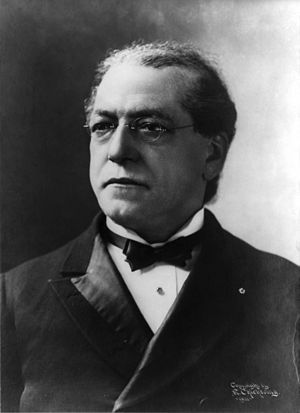 Known for his opposition to radicalism, Gompers argued that unions should avoid political involvement and focus on economic goals, bringing about change through strikes and boycotts. He stressed the primacy of the national organization over local and international affiliations, and he emphasized the need for written contracts. The work of organized labor has brought about the end of child labor, the forty-hour work week, workplace safety, and the end of the sweat shop, and the rise of the middle class in this country. It is this history that Labor Day commemorates. In recent decades reactionary forces have taken control and the labor movement has suffered. The result is the middle class is shrinking, wages have not greatly improved, and work has been moved overseas where child labor and sweat shops are allowed. A prosperous and working middle class is the strength of the nation. The labor movement is the backbone of the nation and the preserver of the nation’s wealth. Work, gainful employment, is more than the safeguarding of national wealth. Work is the base on which people stand to feel pride in their accomplishments and a source of self-esteem. Unemployment is debilitating and demoralizing. Thus, on Labor Day, we celebrate the beauty of the accomplished worker who becomes the expert at the machine tool, the work bench, the computer desk, the highway, the lines of energy and communications. We honor the work of the artist and the artisan, the work of the homemaker, the work of caregivers, and the work of educators. Labor Day has a universal purpose—we honor all that we are, all that we manufacture, and all that we produce. Honoring labor is somewhat of a lost cause these days. Much of what we consume comes to us from factories of mass production. Hardly a human hand has gone into the actual manufacture of the things we use. The result is that we don’t cherish them. When they are obsolete or worn out things, made by machine are simply thrown out. There are few “fix-it” shops, if any. We live in a disposable society now, and the danger is that not only things are disposable but also people. But think about those things that are essential to our everyday life. Somebody makes them, or at least turns on the machinery that does. The things we own that are most cherished are pictures our children painted or the woodcraft done by our adolescent son in a woodworking class. We cherish the antiques we have inherited or purchased because of their craftsmanship. I suppose it is good that so much of what we need is mass-produced. If they were not, it is likely we would not be able to purchase and own them. The labor that has gone into the inventiveness of production must be honored also. But, still we cherish those things that were made with loving hands. Labor is a major part of the Scriptures. Solomon goes into great detail about the labor required to build the temple and his palace in Jerusalem. Ezra and Nehemiah provide excruciating detail on the reconstruction of the temple after Israel’s seventy-year exile in Babylonia. Jesus states (Luke 10:7) the laborer deserves to be paid. Jesus was raised in a work environment. Joseph probably trained him to be a cabinetmaker. Hard work was not unknown to Jesus. The disciples, the twelve, were all people who worked at difficult tasks before being called to be Jesus’ disciple. Even Matthew, who had been a despised collector of the Roman tax, labored at the task given to him. 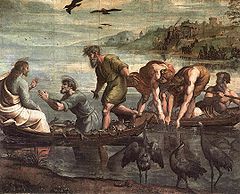 Fishing, the work of most of the twelve, was and still is a demanding way to make a living. Today men who go down to the sea in ships face dangerous conditions. Take a moment on Labor Day or any day to think about the message of this prayer and offer it to God as a way of giving thanks for the opportunity to have useful labor in one’s life and to give thanks for those who work so hard to make the goods and products so essential to the abundant life we live in this country.